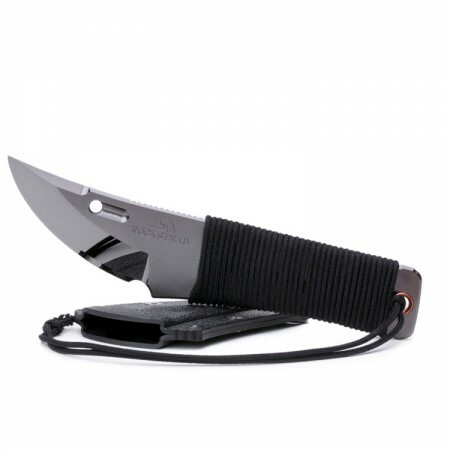 Scope of delivery: kydex knife sheath, cloth bag, product specification sheet, guarantee policy. 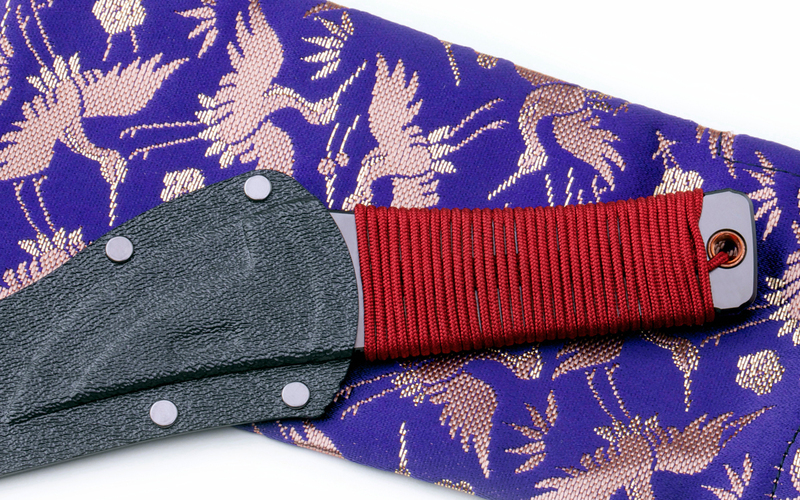 The 長 CHOU is ROCKSTEAD’s neck knife. 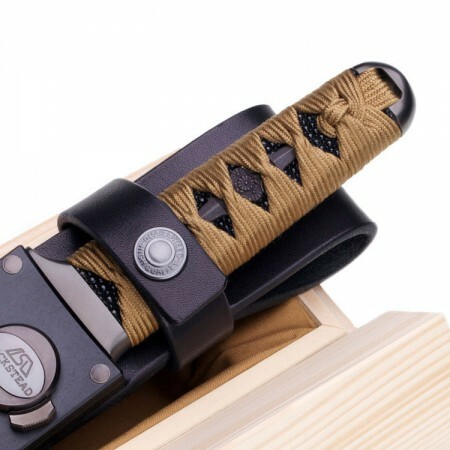 Its design is based on that of the Japanese pole weapon, the naginata. Although the effective length of its blade measures just 50 mm approximately, thanks to its above-average sharpness and edge-holding ability, it can cope with a wide variety of cutting tasks. 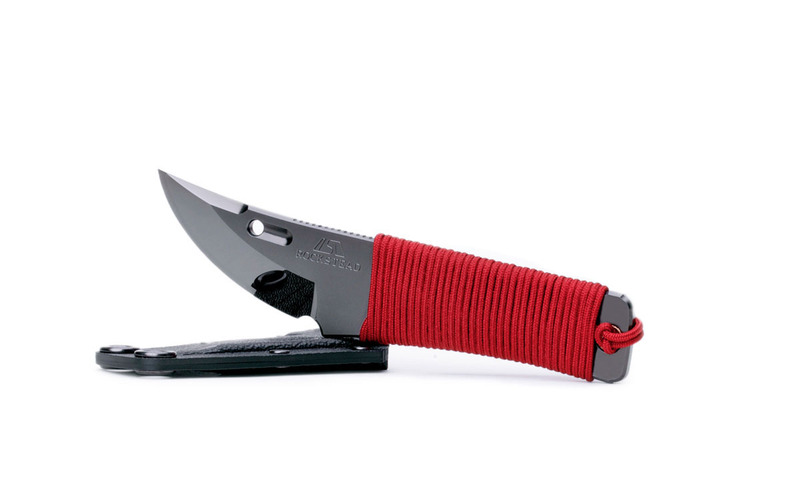 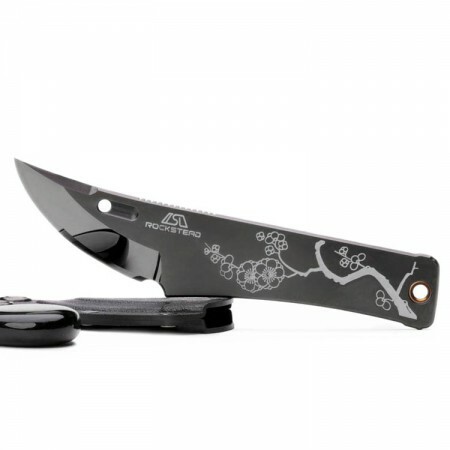 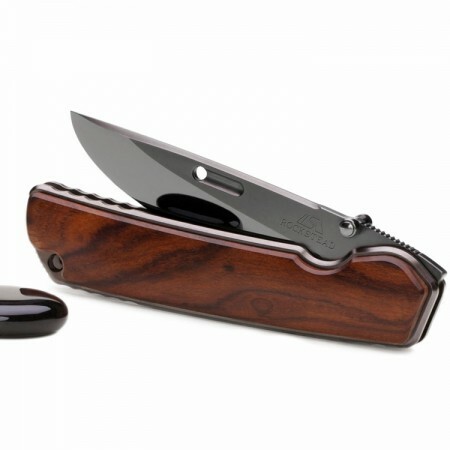 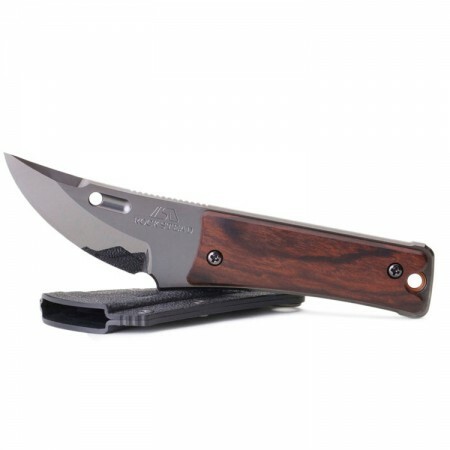 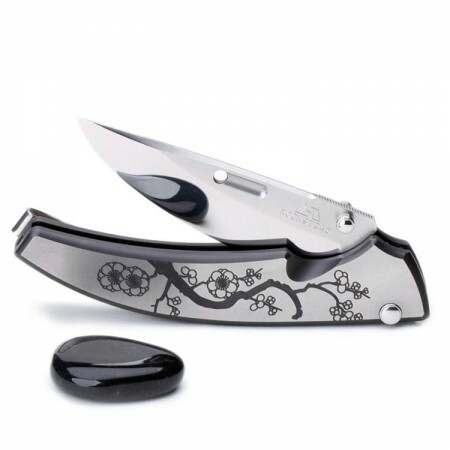 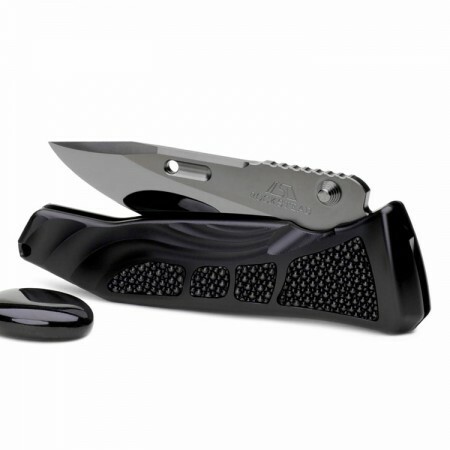 It is a small, practical and lightweight knife, which can be carried inconspicuously and is therefore always to hand. 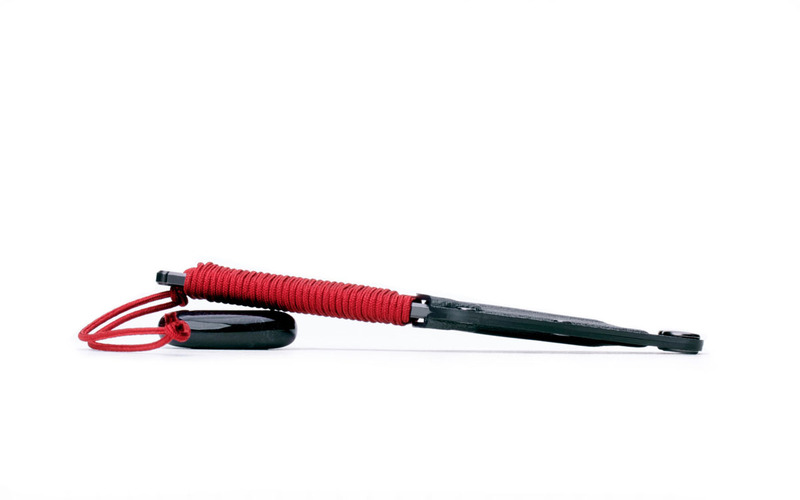 A true companion of a very particular kind. 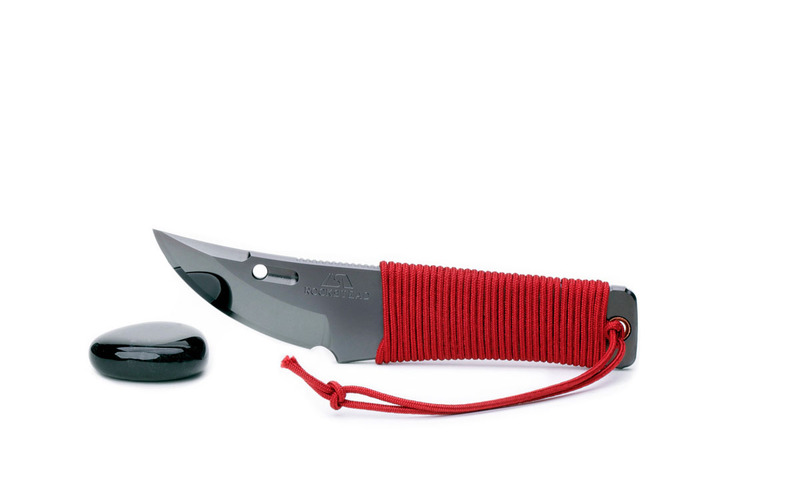 Variations: Handle wrapped in various different colours (red, black, blue, green, purple).